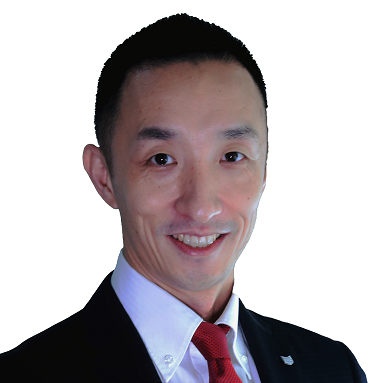 Manila, Philippines – Newly appointed Canon Marketing (Philippines), Inc. (CMPI) Business Imaging Solutions Director, Yasuhiko Shiraki, will lead the company’s corporate product and solution categories as it aims to set its foothold across various industries in the Philippines. Coming from his extensive experience from Canon Singapore Private Ltd. (CSPL) and Canon India Private Ltd. (CIPL), Shiraki successfully established Canon’s business programs across Southeast Asia in 2009. “I’m excited to see the progress to vastly reach and help different enterprises in the Philippines – big and small – through our Business Can Be Simple campaign,” said 41-year-old Shiraki. “Our managed document services like Therefore have taken giant strides in Mindanao. I fully expect it to become equally successful in Metro Manila where resources like space and time grow more premium every day.” Just this March the company launched a cloud-based version of the solution called Therefore Online. In India, Shiraki served as the Assistant Director for Business Planning and Solution Marketing. He made a significant contribution to the launch of Color for India, a marketing campaign for the copier business which achieved more than 40% market share of color segment in 2018. Prior to his role in CIPL, Shiraki led the Original Equipment Manufacturer division of CSPL where he was responsible for market research for the demanding India and China markets. Shiraki’s immersion and posts in the different markets in Asia, particularly Singapore and India, which are two of the leading technology-driven markets, will help strengthen Canon’s foothold as a leading business solutions provider in the country. Shiraki’s new post will revolve around spearheading programs that will boost business growth while delivering operations-optimizing solutions in one of the most aggressively growing economies in the world.